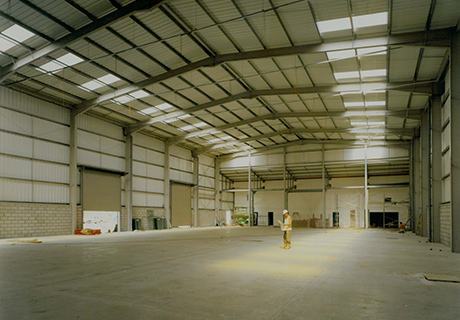 This was our first large ‘tin shed’ project and is a good example of our pro-active approach to design and development. We were asked by the Ipswich and Norwich Co-operative Society to obtain planning permission for a 20,000 sq. ft warehouse building on their Boss Hall Estate in Ipswich. 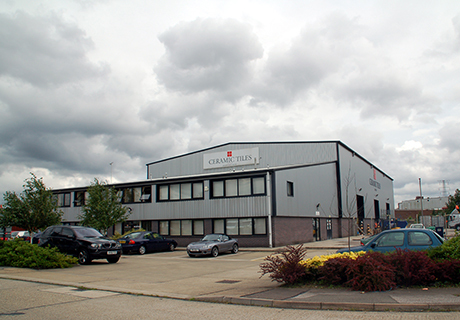 At the same time we were looking at the Farthing Industrial Estate premises of Ceramic Tiles Ipswich Ltd. They were outgrowing their storage capacity and were trying to find ways of improving their offices and stores. We introduced Ceramic Tiles to the Co-op which enabled us to design a warehouse which was custom-made for their growing business. 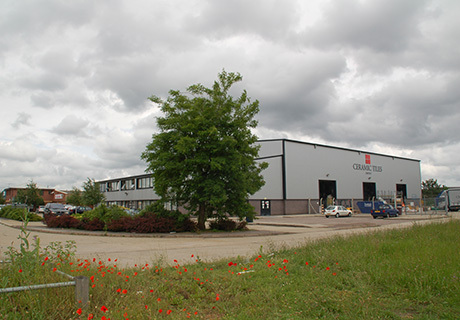 Ceramic Tiles moved in to the premises they needed, the Co-op signed a very good tenant for their new building and Barefoot and Gilles received their first sizeable commercial/industrial commission. Built on ground with poor load-bearing capacity, vibration compacted stone was used, together with a steel needle-reinforced slab, to cope with the very heavy imposed point loading that 6m high racks of ceramic tiles impose.